K.A.N. 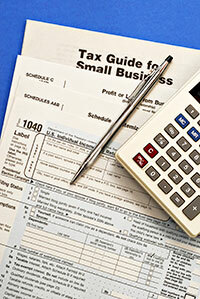 Accounting & Tax, Inc. : Social Security Benefits, Are They Taxable? Some people must pay taxes on their Social Security benefits. If you receive Social Security, you should receive a Form SSA-1099, Social Security Benefit Statement, by early February. The form shows the amount of benefits you received in the prior tax year. 2. If Social Security was your only income during the tax year, your benefits are probably not taxable. You also may not need to file a federal income tax return. • Next, compare this total to the ‘base amount’ for your filing status. If the total is more than your base amount, then some of your benefits may be taxable. The base amount has remained the same from year to year for a number of years, but should be double-checked each year, just in case. For more information on the taxability of Social Security benefits, see IRS Publication 915, Social Security and Equivalent Railroad Retirement Benefits. You can get a copy of this booklet on www.IRS.gov or by calling 800-TAX-FORM (800-829-3676).